We are partnering with Napaway, a US-based startup, to launch the future of bus travel in 2019. 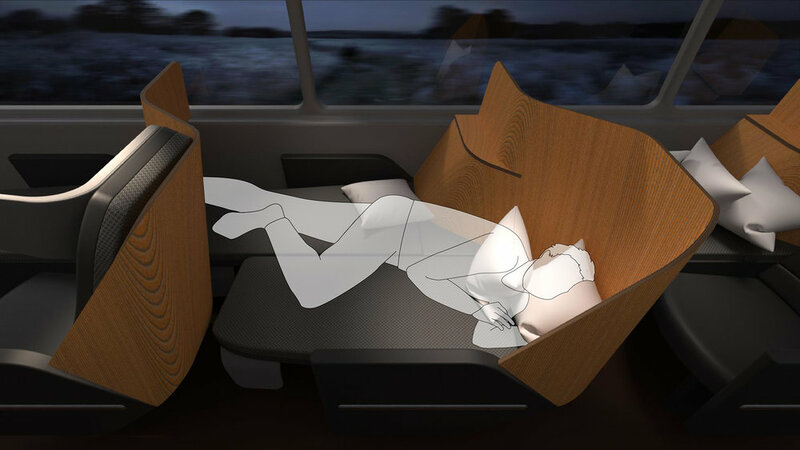 Napaway will feature the Butterfly flexible flatbed suite, adapted for use on long-haul sleeper coaches in the US. In its two-seater mode, the Napaway seat functions as a normal coach-class bus seat. Passengers have ample legroom to stretch out and relax, and the staggered seating arrangement gives them more privacy. The seat boasts a comfy 7 inches of recline. With one seat folded over, Butterfly transforms into a private suite with a side couch for passengers to stretch their legs out. Operators may also choose to sell the seat as family suite for an adult and child, with the side couch functioning as a small bed. Fall asleep in Boston, wake up in Washington. With both seats folded down, passengers can nap away in their own personal bed, stretching over 78 inches tip-to-tip. Road trips have never been more relaxing. As a Hong Kong based consultancy, we are uniquely positioned to source and manufacture products in China. We are partnering with local and international suppliers to produce and certify the Butterfly bus seat for use in the United States. Contact us to learn more.